FOSSIL recently unveiled their latest activity trackers, smarter analog watches, and slimmer Android Wear smartwatches at the Fossil Global Exposition 2016 at Baselworld in Switzerland. 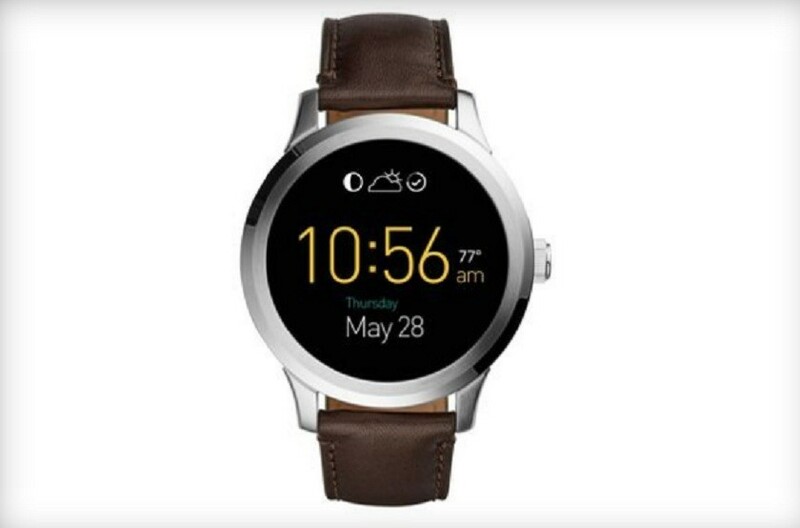 The Fossil Q Founder next-gen activity tracker Q Motion complete with water resistance, sleep tracking, and smart tap technology; slimmer Android Wear watches (Q Marshal and Q Wander respectively) and a smarter analog watch, that infuses tech into a traditional timepiece unlike any other. Q Marshal powered a rugged case along with design updates like a striking navy blue plated case paired with vintage-inspired leather straps. The Fossil Q Founder looks like it can compete. Its stainless steel casing feels strong, and the crown resembles a traditional watch. At the bottom of the 1.5-inch 360×326-pixel resolution display sits a black bar that houses an ambient light sensor. The Q Founder is powered by an Intel Atom processor with 4GB of storage for apps and music, Wi-Fi to function when your smartphone is left behind, and both an accelerometer and gyroscope for tracking steps and distance. The Fossil Q Founder is a great looking watch that also shows notifications of calls, texts and activity thanks to multi-color LED lights and haptic vibrations from your smartphone via a Bluetooth connection. Fossil covers the Q Founder with a warranty that lasts for two years after the date of purchase and no need for recharging Q Motion as its coin cell batteries keep it powered for up to 6 months. Additionally, it’s water resistant for up to 50 meters and features a new sleek cylinder design. The Fossil Q Founder is available for $275 (which converts to about £180) with a leather strap or $295 (£195) with a stainless steel link band.